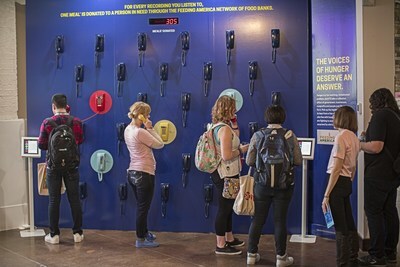 AUSTIN, Texas, March 9, 2018 /PRNewswire/ -- To bridge the gap between farm fields and family tables, Land O'Lakes, Inc. has created "The Food Effect" — an interactive experience that is part of South by Southwest (SXSW) and runs March 9 through 12 at 311 East Fifth Street (at Trinity Street), adjacent to the Austin Convention Center. Land O'Lakes is hosting a dynamic roster of media, academics, entrepreneurs, nonprofit leaders and policy makers to participate in The Food Effect, including representatives from National Geographic, Microsoft, fairlife Milk, Feeding America, Nerd Nite, George Washington University, the University of California–Davis, the University of Minnesota, the United States Agency for International Development (USAID), Gro Intelligence and Dairy Management Inc.
"Food should be a subject that brings society together, not one that drives us apart. Land O'Lakes is committed to convening meaningful farm-to-fork conversations between consumers, farmers, scientists and everyone in between to improve our understanding of one another and what we value as we face the challenge of feeding a growing global population," said Chris Policinski, president and chief executive officer, Land O'Lakes, Inc. "Modern challenges to food production, like climate change and how we define sustainability, can be uncomfortable to talk about, but more importantly they create opportunity for innovation and collaboration. Our goal with The Food Effect is to start a dialogue at SXSW about these vital issues, then encourage attendees to continue those conversations after the conference and invite others into the mix." Throughout The Food Effect, Land O'Lakes is hosting four days of central dialogue conversations and panels whose participants have diverse points of view, including food policy experts, university researchers, authors, technology gurus and farmers. Here is a rundown of marquee events and program synopses for each day. Emmy-award-winning journalist and CNN host Frank Sesno moderates a panel of experts from the education and private sectors who discuss the symbiotic relationship between science and food production. Panelists include Beth Dunford, Deputy Coordinator for Development for Feed the Future, USAID; Dr. Lisa Dyson, founder and CEO, Kiverdi; and Pamela Ronald, Professor, Department of Plant Pathology and the Genome Center, University of California, Davis, and Co-author, Tomorrow's Table, Organic Farming, Genetics and the Future of Food. They will lead an honest conversation about why promoting food security matters, and the tradeoffs we make when considering solutions. Tracie McMillan, National Geographic contributor and New York Times best-selling author of The American Way of Eating, offers a surprising, behind-the-scenes story of how her field reporting around the globe taught her that the future of food is not only tech—it's human. A Dairy and Dialogue discussion in the morning, Meet Today's Modern Farmer, unpacks the sometimes surprising realities of the people who feed us and the ways they use technology. To cap off the day, a Nerd Nite event, A Tale of Two Cities—Empowering Communities on the Front Lines of Food Security, will explore urban food systems and ways we can all fight hunger in America. Big data is revolutionizing agriculture. It's also expensive. How can we ensure it's accessible to farms of all types and sizes? Alexis Glick, former Fox Business Network anchor and chief executive officer of GENYOUth, moderates a panel discussion on the topic. Panelists include Teddy Bekele, vice president of ag technology, WinField United; Sara Menker, CEO, Gro Intelligence; and Claudia Roessler WW industry director, Chemical, Agricultural, Life Sciences Industry, Microsoft. The way we grow, deliver and prepare food is about to change. So should the way we think about it. A panel of experts takes a deep dive into the possibilities of the future of food, moderated by National Geographic executive digital editor Dan Gilgoff. Also on Monday, industry leaders will explore the ag sector's responsibilities to the consumers of today and tomorrow in All Farming Is Good Farming, a Dairy and Dialogue discussion. 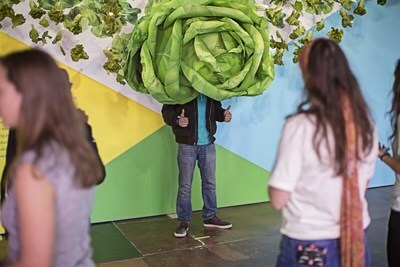 What's in the Box: Virtual reality provides a front-row seat to experience innovative farming techniques in action — inside a giant head of lettuce. The Food Effect is open starting at Noon daily, Friday, March 9, through Monday, March 12. 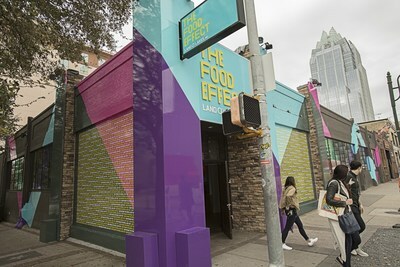 For more information about The Food Effect, including times of marquee events, visit https://event.thefoodeffect.com. Land O'Lakes, Inc., one of America's premier agribusiness and food companies, is a member-owned cooperative with industry-leading operations that span the spectrum from agricultural production to consumer foods. With 2017 annual sales of $14 billion, Land O'Lakes is one of the nation's largest cooperatives, ranking 209 on the Fortune 500. Building on a legacy of more than 96 years of operation, Land O'Lakes today operates some of the most respected brands in agribusiness and food production including LAND O LAKES® Dairy Foods, Purina Animal Nutrition, WinField® United and Land O'Lakes SUSTAIN. The company does business in all 50 states and more than 60 countries. 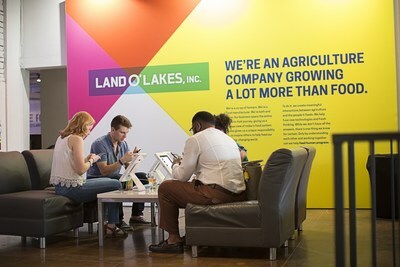 Land O'Lakes, Inc. corporate headquarters are located in Arden Hills, Minn.
© 2018 Land O'Lakes, Inc.